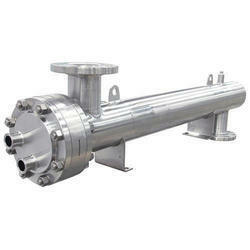 Pioneers in the industry, we offer shell heat exchangers and shell and tube heat exchangers from India. 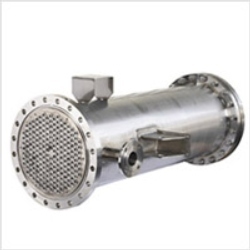 We manufacture and supply an extensive series of shell & tube heat exchangers adhering to These shell & tube heat exchangers are able to handle high temperature & pressure applications that are suitable for various industrial applications. We develop and export these exchangers in a wide range of sizes and capacities catering to suit individual applications and purposes. Made in MS, SS and Copper Tube. Looking for Shell And Tube Heat Exchangers ?